Buying or leasing a car can be exciting, but also nerve-wracking. A lot goes into making the right personal decision when it comes to a new car purchase. 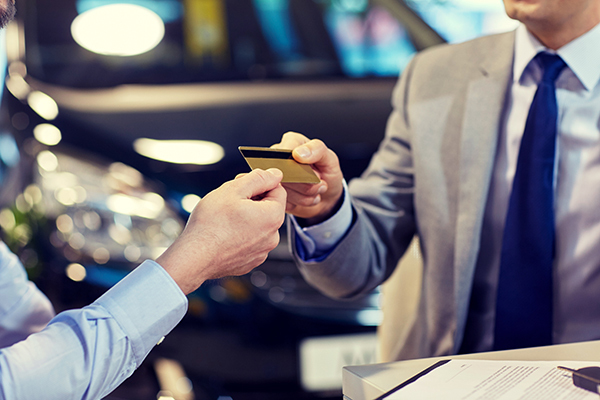 You may believe you can afford monthly payments until a car salesperson hits you with an unexpected down payment sum and devastates your new car dreams. The team at Car-Registration.org has taken the time to provide some tips below regarding how to determine your down payment when buying a car. Any time you decide to buy a new car, the first step in the process is to determine your monthly auto budget. This will give you a big-picture sum of your anticipated annual auto budget, which will assist you in making decisions about your new car contract. When conducting an auto budget, the experts at Car-Registration.org recommend taking into account any auto-related expenses you will regularly incur, such as gas prices, transportation tolls, maintenance expenses and auto insurance premiums. You may find that coming up with a comprehensive auto budget allows you monetary wiggle room when it comes to both your down payment on a vehicle and your monthly car payments. Prior to visiting any car dealership to peruse new inventory, go a step further with your auto budget. The team at Car-Registration.org suggests taking the time to crunch some numbers regarding how much you can afford for your monthly auto payment. If you can afford $400 a month for your vehicle but you are able to sign a contract that breaks your payments into $330 per month, you essentially have $70 per month left over that can go towards your down payment when pooled. However, the most important note to remember here is that dealerships require down payments upfront. If you do not have the cash flow to accommodate a steep down payment on the spot, perhaps you rather pay $400 a month in lieu of a lower, immediate down payment. One car-buying trick the Car-Registration.org experts love to exercise is the act of shopping around. Imagine you find the car of your dreams, but the salesperson has put his or her foot down on negotiations. When you feel you are at an impasse, simply thank the salesperson for his or her time and be on your way. However, do not forget to take your math homework with you. Along with the numbers you brought, request a print out of the estimates offered. Then, go home and do more research. Call other car dealerships within a comfortable radius that carry the same makes and models and see what they are willing to offer. Each car dealership is different. You may find that you have better luck working with a car dealership that is just a bit off the beaten path, in comparison to the one nearest to your home. Try negotiating in person with a minimum of three different car dealerships before making a decision. You may be surprised to find you may be able to get exactly what you need.